Ireland’s finest hip-hop musical comedian is back with his biggest show to date. Following a sell-out UK tour and a sold out week at London’s Soho Theatre, ABANDOMAN return due to demand. Using his trademark blend of audience interaction and razor-sharp improvisation, ROB BRODERICK will take you on a magical journey, transforming the audience’s likes, loathes and daydreams into hit songs and captivating tales. 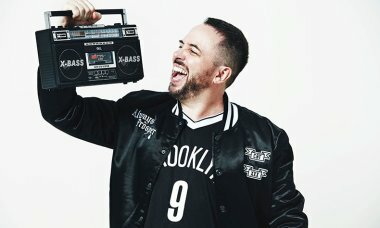 ABANDOMAN have supported multi-platinum artist Ed Sheeran on his sell out UK tour, enthralled audiences on Channel 4’s 8 out of 10 Cats Does Countdown, and performed as the house band on Alan Carr’s Happy Hour (Channel 4).